It may take a village to raise a child. But it takes an ecosystem to help it survive in today’s competitive job world. That’s the main goal of the San Diego STEM Ecosystem, whose members met at the University of San Diego to focus on collaboration and building strong corporate partnerships today so they may help today’s students carve out successful careers tomorrow. The two-and-a-half-hour session was moderated by Eric Meyer, assistant director of education for the Fleet Science Center. An ecosystem, by definition, is a biological network of plants, animals and related interacting organisms with the primary function of transmitting and sharing energy to benefit every single component in the network. The term was first applied in a business sense by Silicon Valley’s innovation network. San Diego’s own STEM ecosystem was launched almost two years ago as part of a national effort, funded, in part, by the University of San Diego’s partnership with the Noyce Foundation, named after Dr. Robert Noyce, co-founder of Intel and inventor of the integrated circuit, which helped launch the computer revolution. STEM stands for Science, Technology, Engineering and Mathematics — all skills that today’s youngsters need to meet rapidly changing technological and global changes. The Fleet Science Center has spearheaded the effort in San Diego, with key partners, SDG&E, BIOCOM of San Diego, QUALCOMM, Robolink and the San Diego Zoo, and including a wide range of organizations such as the Association for Women in Science, Birch Aquarium, Junior Achievement, San Diego Public Library and San Diego Natural History Museum, among others. San Diego’s ecosystem of community partners collaborates in many ways to deliver STEM learning opportunities for youngsters as traditional classroom education is not enough to compete with changes moving faster than we can think. One of its initiatives, “52 Weeks of Science,” is designed to promote science as a necessary part of everyday life, particularly among school children in communities such as Barrio Logan and Logan Heights. City Heights is another community that will benefit from San Diego’s STEM Ecosystem later this year. Another, SDG&E’s “Inspiring Future Leaders” initiative, is designed to empower youths to take charge of their careers and futures while embracing STEM-based learning as fun and, at the same time, essential to their success as adults. In both cases, collaboration has been essential. 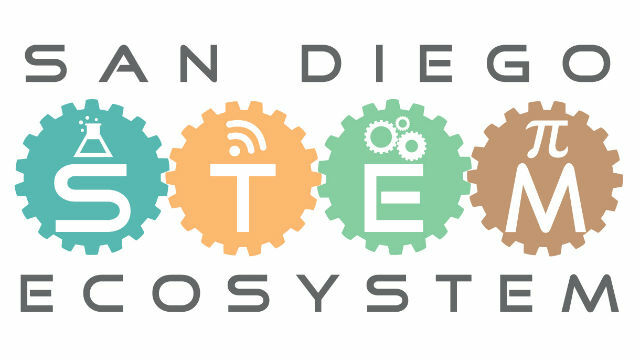 “The collaborative nature of the STEM Ecosystem initiative is a perfect match for the San Diego Public Library and for libraries in general,” said Gina Bravo, who develops and coordinates a variety of programs for the San Diego Public Library on subjects as diverse as computer technology and bug collection, but with one purpose — to help youngsters integrate science and technology into their daily lives. “The San Diego Public Library seeks out ways to work with both our local communities and local businesses, universities and non-profits to provide equitable access to quality educational and career opportunities in all of San Diego’s neighborhoods,” she added. In any case, Nhu Tran, SDG&E’s community relations manager and driving force behind its “Inspiring Future Leaders” initiative ,views integrating STEM-based learning wherever she can an essential component in the success of today’s students, be they in elementary, middle or high school. Leonard Novarro is co-founder of Asia Media America and the Asian Heritage Society. He is a frequent contributor to Times of San Diego.